The Year of the Raven is over. Hearthstone: Rise of Shadows is live and marks the start of the Year of the Dragon. Hearthstone is changing in a big way today. 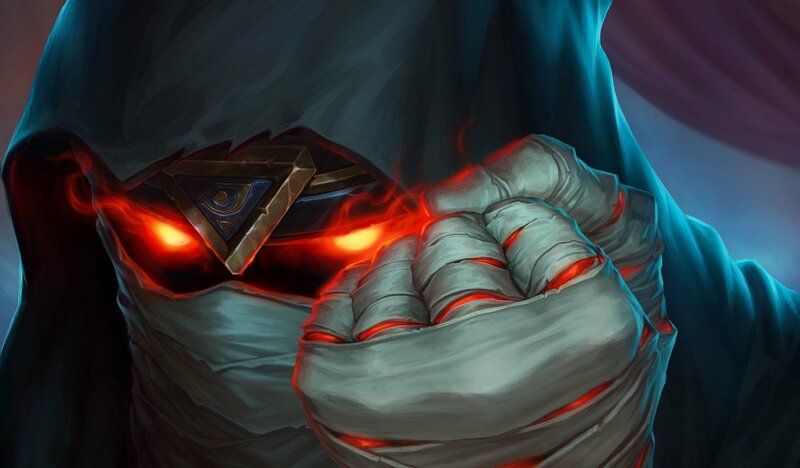 The new Rise of Shadows expansion is officially live, introducing 135 new cards to Blizzard's digital collectible card game. It also means that the Year of the Raven is at an end. A new Standard year has begun with Rise of Shadows ushering in the Year of the Dragon. With Hearthstone Update 14.0 going live late last week, activating Rise of Shadows was simply a matter of Blizzard flipping a switch. And the publisher did indeed do so at 10AM PT Tuesday morning, marking the first time that a Hearthstone expansion has launched worldwide simultaneously. Those looking for a headstart will be happy to know that there are some freebies awaiting those who log in today. Beyond the free Archmage Vargoth, Hearthstone players can find a handful of quests to help them earn free stuff. Those looking to get even more of a headstart have one week to purchase a special Shadow Bundle. This will include nine Rise of Shadows card packs, along with a free Arena ticket. Considering $9.99 usually nets you only seven card packs, this is a pretty good bargain. However, it should be noted again, this bundle will only be available for one week. What, that's still not enough? Alright then, come back to Shacknews in just a couple of minutes. We'll help you get started with a few deck ideas. I got 5,100 dust back. Nice. Didn't bother crafting golden copies of any of the hall of fame cards either. That’s the optimized approach if you care for golden cards... and wild. IDK. I qualified for and played in the wild open and can only really recommend the format if you’re a die hard cubelock player. The wild version of cubelock is baller. But wild really suffers from the smaller player base and rare balance changes. The actual diversity of decks you face is actually smaller than in standard because voidcaller into voidlord is broken and kingsbane is super broken.